‘The Crème’ which is a natural skin care product can play a vital role in baby skin care and provides gentle yet effective relief from minor ailments – even enhancing many experiences associated with the care of the very young. 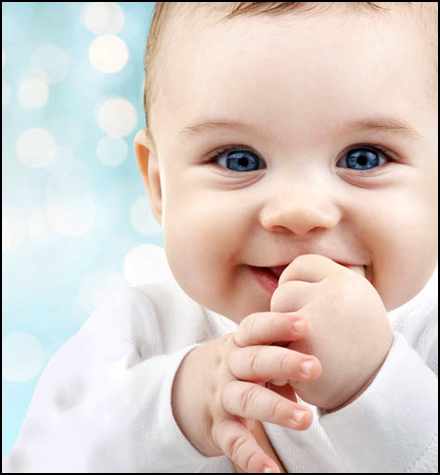 It is important to understand that to take care of baby’s skin the most natural way is often best. Baby’s skin is 5 times thinner than an adult, so their skin is more prone to skin irritations and skin rash. Baby’s skin is less resistant to germs and harmful substances in the environment, especially when your baby’s skin is dry and irritated. Babies, also tend to sweat less effectively, so it’s more challenging for them to maintain their body temperature. Don’t be surprised if your baby’s skin goes through lots of changes. After all, your baby is constantly growing and so is their skin. Our precious little people deserve nothing less than safe, gentle and effective, natural skin care products that don’t irritate or dry out their sensitive skins. Our skin is the largest organ of the body and everything that goes onto the skin is absorbed into our system, so it’s important that the products we use on our skin are as close to nature as possible and don’t contain potentially toxic chemicals. Whatever your baby’s skin care needs, since baby’s skin is so delicate, it’s important to have the right product for the right need, for every day and even those not so good skin days. At Janne Elizabeth Cosmetics we put the best of the best in ‘The Crème’, full of life giving mineral and trace elements, to create a pure, natural and organic skin care product that is safe, gentle, yet still very effective. ‘The Crème’ is not mass produced; it is manufactured in small batches to ensure superior quality. 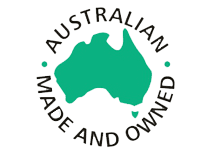 100% Australian-Made organic skin care, rich in high quality certified organic ingredients while leaving out all the nasties. ‘The Crème’ is known to soothe dry skin, itchy skin, skin rash and is brilliant at replacing moisture in the skin. ‘The Crème’ is ideal for babies and children. Over the past 25 years ‘The Crème’ has received many, many fantastic reports from parents who have used ‘The Crème’ on their babies and young children. ‘The Crème’ is wonderful for keeping baby’s skin moist. Please always test a small area of skin first as in some cases if baby’s skin is very sensitive or irritated ‘The Crème’ can cause an uncomfortable feeling for baby, similar to putting salty water on the skin, because of the mineral and trace elements contained in the product. Usually this will not be a problem, but please do test first to be absolutely sure. If your baby is not happy with ‘The Crème’ on his or her skin simply wash off with water. Always use sparingly. "Hi Janne, I have been a regular customer of ‘The Crème’ for years now. I used ‘The Crème’ on my young children every morning before school on their faces and then at night all over their bodies. Both my children who are in their twenties now have beautiful skin. I found ‘The Crème’ worked well as a barrier cream against the elements. Both of my children have children of their own now and they are using ‘The Crème’ on their children. My 8 year old grandson grabs ‘The Crème’ for everything. His little sister was itchy so he went and got ‘The Crème’ for her. I often witness my grandchildren using ‘The Crème’ to soothe their skin discomforts. My daughter-in-law had tried so many different creams when the children had chicken pox and in the end she discovered ‘The Crème’ was the most soothing of all the creams. Thank you so much for ‘The Crème’ which is so safe and a natural skin care product which my family have come to rely on."